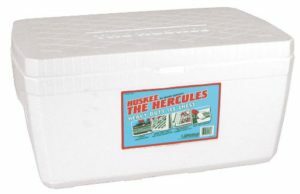 Here at www.thecoolerzone.com we typically focus on metal, plastic, and fabric coolers but another very popular material that often goes overlooked is Styrofoam. In this article we are going to discuss Styrofoam and its pros and cons and also list out what we feel is the best Styrofoam cooler. 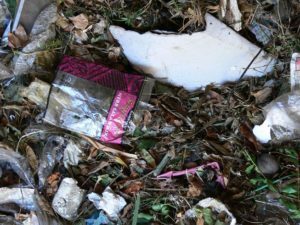 For many applications going with Styrofoam might be your best bet. 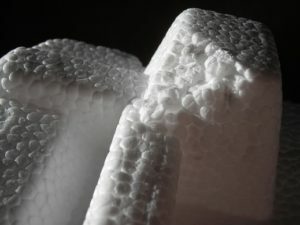 Hopefully after reading this article you’ll have a better idea of what to look for and know whether or not Styrofoam is right for you. So we have all used Styrofoam from one time to another, but do most of us really know what it actually is? A lot of people will simply say it is that lightweight white stuff that makes a huge mess when it breaks (and they would be correct!). But there is a lot more to it than that. Styrofoam is actually a trademarked brand that is owned by The Dow Chemical Company and not simply a material name like steel or plastic. The more broad name for Styrofoam-like material is expanded polystyrene foam (EPF). The density and porosity of the closed-cell extruded polystyrene foam can vary greatly depending on the application. Speaking of applications, it is used for a lot more things than just coolers! The main component of EPF is styrene, which is made from natural gas or petroleum and is produced after a reaction between benzene and ethylene. The manufacturing process is quite interesting. First, the ethylene and benzene are combined with a catalyst to create styrene. The styrene is then combined into polystyrene through what is called suspension polymerization. Suspension polymerization is a process that uses mechanical agitation to mix the materials in a liquid. This results in polystyrene “beads” that make for the foundation of the Styrofoam. These beads are then cleaned and filtered to remove any impurities. Once these beads are cleaned and prepared, a polymerization initiator is added and heated. Without getting too technical this causes the beads to attract to one another, resulting in large chains of polystyrene beads. These chains are then cooled, washed, and dried. Finally they are sometimes sorted by size to filter out abnormally small or large beads which helps with uniformity. Once this is complete the beads are heated with steam or hot air which causes them to expand. An agent is added to keep them from fusing with one another. Once expanded, they are cooled and aged for around a day to harden them. At this point you have a bunch of those little beads that most people think of when they think of Styrofoam. To make the many configurations and shapes that they are formed into, the beads are filled into a mold and low-pressure stream is injected into them which causes them to expand and fuse into their final shape. Once in its final form, they are once again cooled which hardens them and gives the structure some much-needed rigidity. So now that we know where Styrofoam comes from, let’s connect this back to the pros and cons that it has in regards to the topic at hand: coolers. Styrofoam is one of the most popular materials to make a cooler out of. The biggest reason for this is their low price. They are very affordable, widely available, and easily disposed of. In addition, they are extremely light, with most coming in at well under a pound, even the large sizes. Compare this to a conventional plastic or metal cooler that might would 20 pounds or more at these sizes. They come in a variety of shapes and sizes that might not be normally found in a conventional plastic or metal cooler. This is because the production process is so simple that seemingly any shape imaginable is possible. 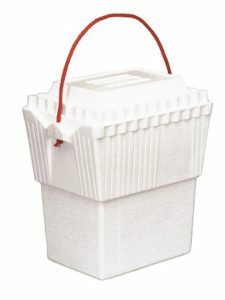 In fact, there are companies that will easily make you custom-sized Styrofoam coolers with very small turnaround time. This is great if you have a really unique enclosure size such as the back of a motorcycle or a crevice in a boat corner and you want a temporary cooling solution without breaking the bank. won’t have ice performance that lasts beyond a day. This is for a couple of reasons. First, there is significantly more heat transfer that goes through Styrofoam than goes through a comparable thickness of most plastics or metals. Styrofoam is simply not dense enough. Second, the lid typically forms a very loose seal since you aren’t using a gasket or creating a metal to metal barrier. This means that there is a huge opening at the top of the cooler that is constantly allowing cold air to escape, even when closed. This means that for any trip or excursion lasting longer than a day you will either need a conventional cooler or be prepared to reload it with ice. Another issue with Styrofoam is that it is easy to damage and break. Have you ever accidentally dropped a full Styrofoam cooler on the ground? It typically ends in a disaster. In fact, even somewhat gentle bumps and scrapes can cause significant damage to the walls. If you plan on being rough with your cooler then Styrofoam might not be for you. Finally, there is the environmental impact. Styrofoam is non-biodegradable and made of non-renewable petroleum products. Whether or not that is a concern to you will vary from person to person but there has been controversy historically with using Styrofoam products. Is a Styrofoam cooler right for you? 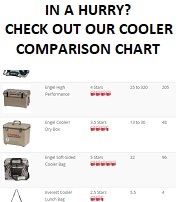 -Are you on a tight budget and don’t want to drop significant money on a cooler? -Do you only need your cooler for a one-time event or trip? -Do you only need a maximum of around a day of ice life? If not, are you prepared to change out the ice as necessary? -Will your cooler be in a safe place, protected from random bumps and scrapes? If you said yes to some of these, then keep reading! So what is the best Styrofoam cooler? Unlike conventional plastic and metal coolers, there isn’t a lot of variance in Styrofoam coolers. Most won’t come with unique features outside of the occasional molded cup holder and the ice life is really dictated by how thick the Styrofoam is. The thickness will also have a pretty direct relationship to how tough it is (and also the price to an extent). This product is made of extremely thick, 2” Styrofoam that is actually quite dense, which assists with both cooling performance as well as durability, and makes this a Styrofoam cooler that actually might survive multiple uses without issue. In addition, the lid is hinged to assist with maximizing the seal and also prolonging cooler life. The dense and thick foam does add a bit of weight, but it is still extremely light, coming in at less than 2 pounds. This particular model has 45 quarts of storage which is plenty for most day-long activities, even for a family or group of friends. We do wish it had some sort of overhead carrying case but this is a minor complaint. We hope this article helped explain what Styrofoam is, where it comes from, and how it applies to coolers. For many a Styrofoam cooler will be the way to go and we encourage you to check out our many other cooler reviews if you decide to go with a more conventional plastic or steel cooler! TheCoolerZone tests and reviews various coolers to find the best products for you. When readers buy our reviewed picks, we earn affiliate commissions that help to support the site. What are the Best Budget Coolers? What Cooler has the Longest Ice Life? What is the Toughest Cooler? What is the Best Soft Lunch Cooler?